On this website, we’re focusing on sport. But we’re also looking at sport in South Africa. Throughout these pages, you’ll find the following sections. South Africa is a sport-loving nation and has produced world and Olympic champions in a whole variety of games, including rugby union, athletics and golf. 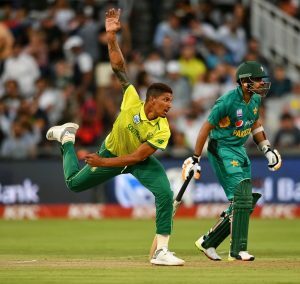 On these pages, we’ll take a look at five of the most popular sports in South Africa, and discuss some of the histories behind them. The South African national rugby team, who play in green and yellow, are nicknamed the Springboks and, for a long time, they have been one of the world’s best sides. After winning the World Cups in 1995 and 2007, they are well-placed to become only the second team after New Zealand to win three at the next edition of the tournament. South Africa hosted the FIFA World Cup in 2010, and its domestic league continues to go from strength to strength, with teams such as the Kaizer Chiefs, Orlando Pirates and Mamelodi Sundowns dominating both at home and abroad. Find out why football is the national sport of South Africa right here. What is the point of playing a sport if it’s not enjoyable? Read on for some handy hints and tips to help you out. We hope you enjoy the site! If you have any suggestions, please do not hesitate to get in touch with us.